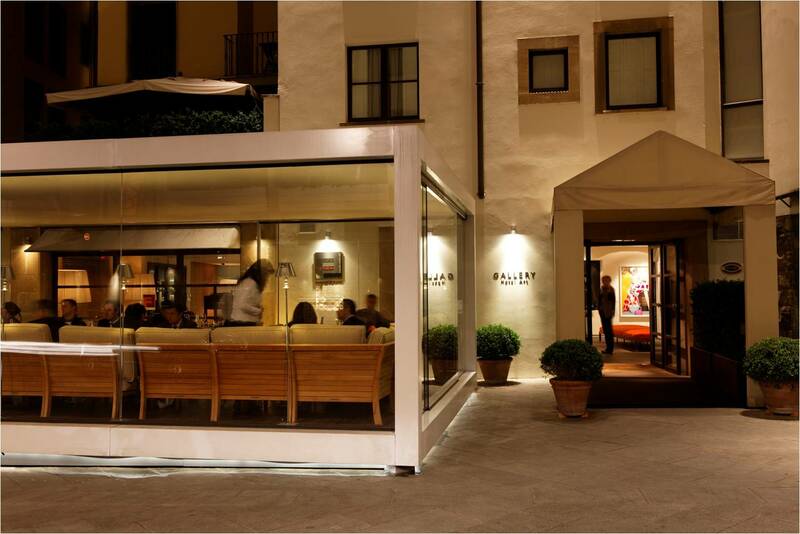 Stylish and modern, this boutique hotel in Florence has 74 gorgeous guest rooms designed by Michele Bonan. 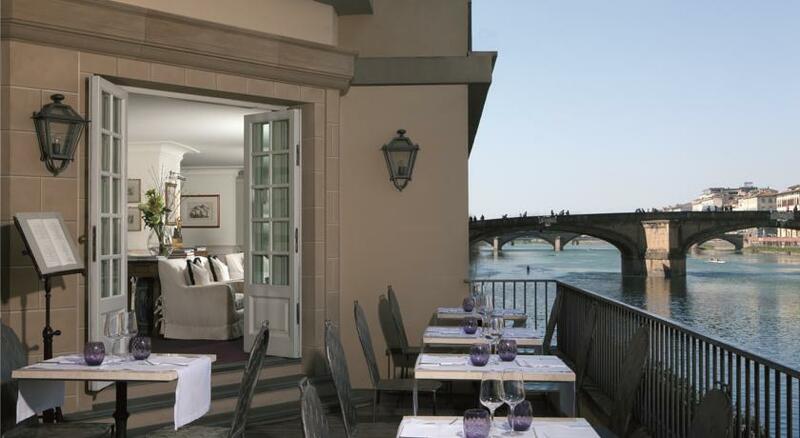 On the banks of the Arno River, Gallery Art Hotel boasts postcard-worthy views of the city and convenience to all of the attractions that draw visitors to Florence. 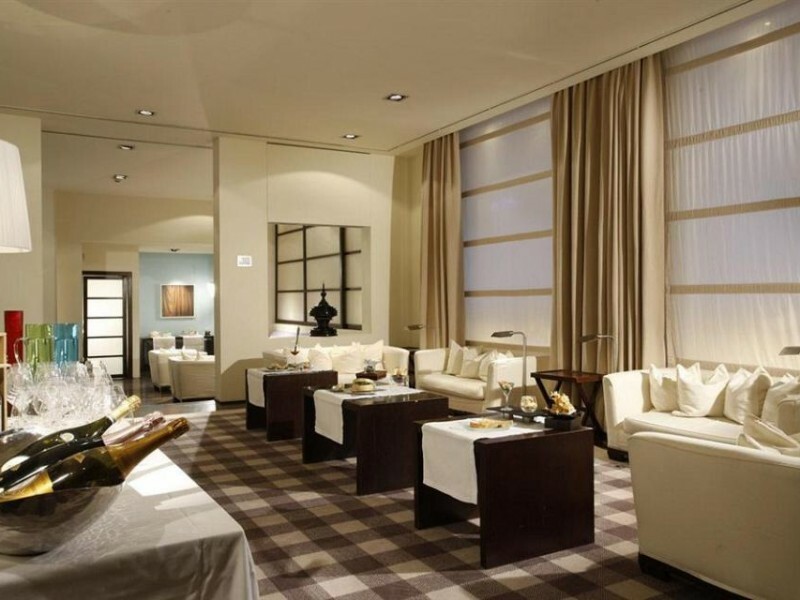 Owned and operated by the Ferragamo family, this property puts fashion first, but it certainly doesn’t skimp on the detains, including fine materials, awe-inspiring photographs, and the fantastic Fusion Bar & Restaurant. 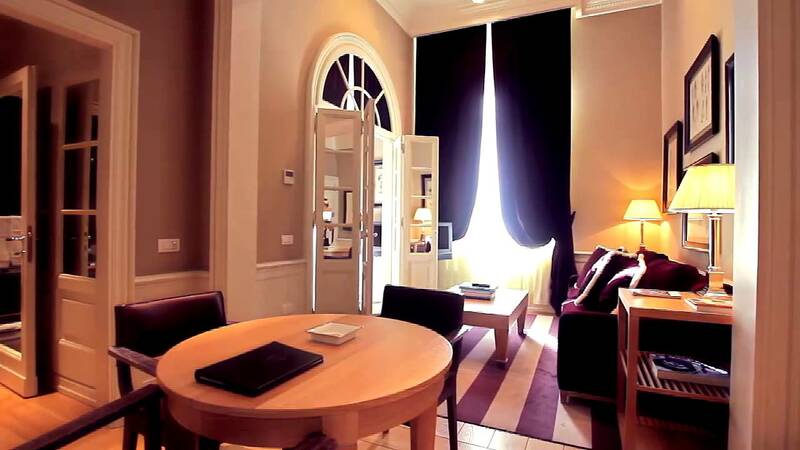 Relax in the lounge/library or on the private terrace of your suite. 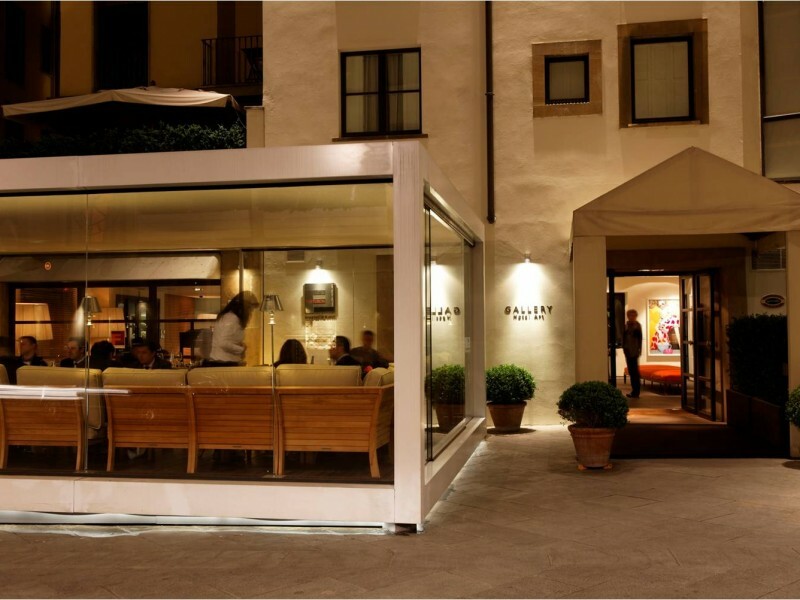 No matter what, you’ll be living la dolce vita—Florence style. 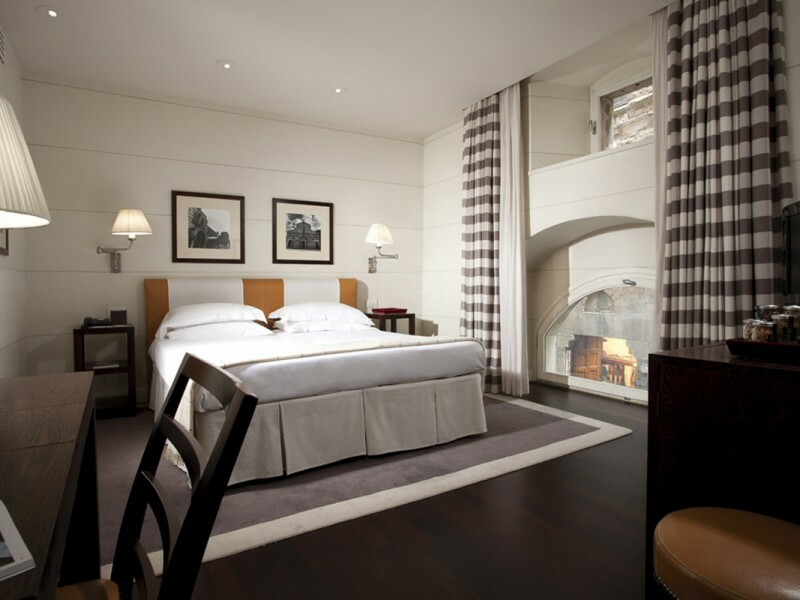 Chic in design and superior in comfort this category of rooms features a double bed or two twins plus wood and leather details. The ensuite bathroom is made of sandstone. Black and white touches pick up the details of the photographs of local attractions in this room fit for two. Choose a double bed or two singles and enjoy the natural light that streams in off the street thanks to oversized windows. Offering a little more space, this category features the same refined furnishings, sandstone bathroom, carved wood details, and black and white photography. 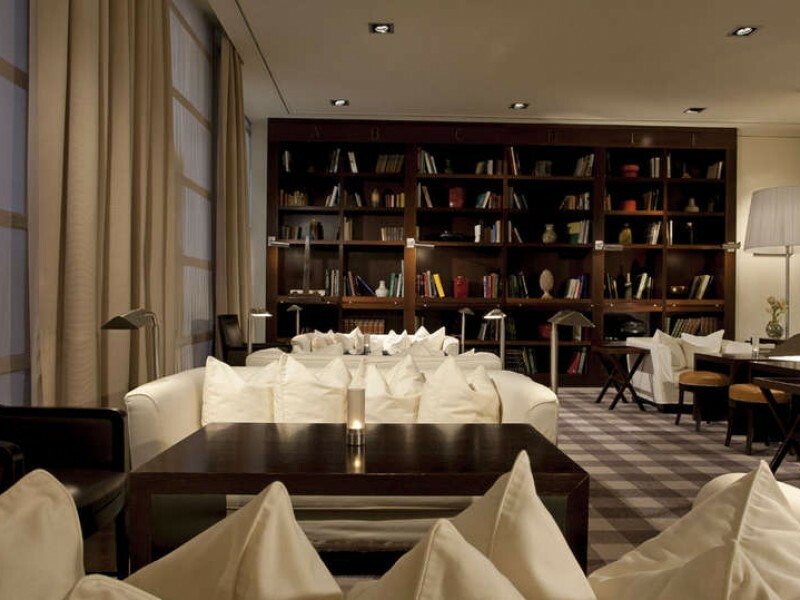 An alcove against the windows features a comfortable armchair to relax and peer out into the Renaissance City. 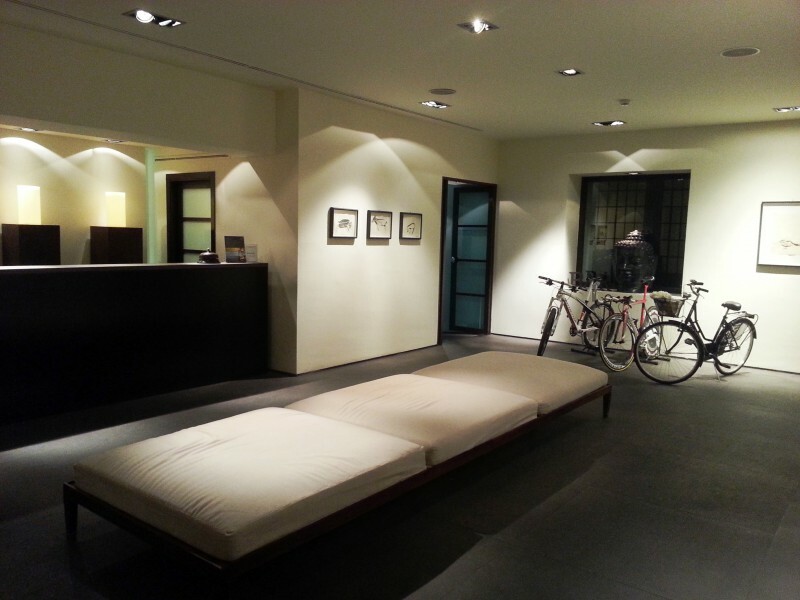 Enjoy a double bed or two twins, plus a sitting area with a plush couch in this category of rooms at the Gallery Art Hotel. 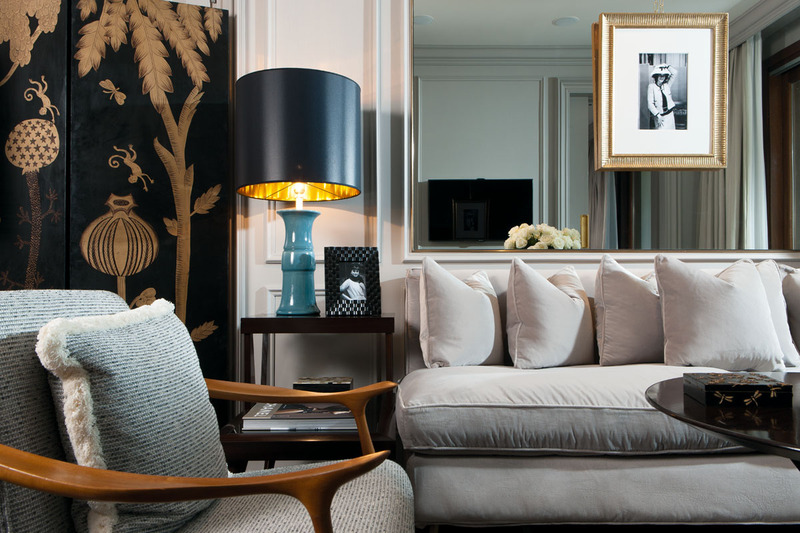 Bright pops of color contrast the uniform black and white details found throughout the property. 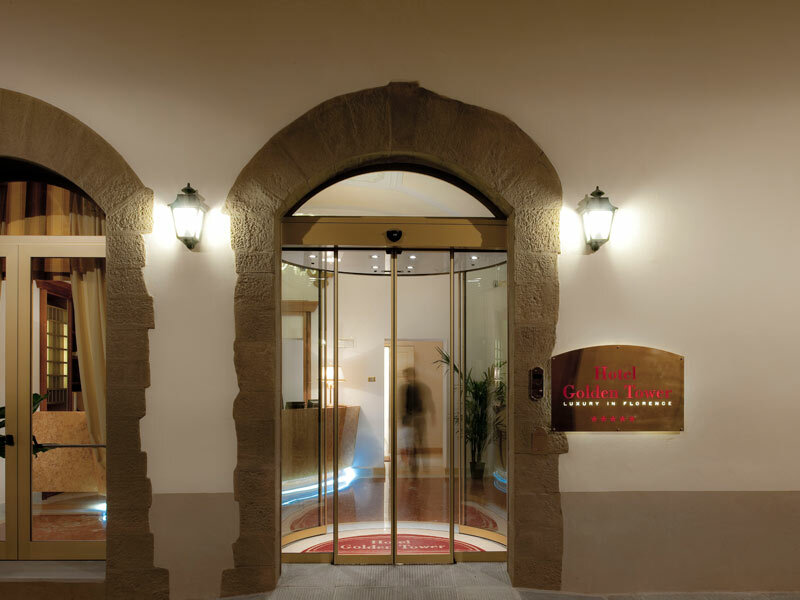 Located on the top floor of the hotel, this category of rooms boasts breathtaking views of both the cathedral and the hilltop churched named San Miniato. Some of the suites are bi-level, and all are available with double or twin beds, plus a large bathroom and separate living and sleeping areas. 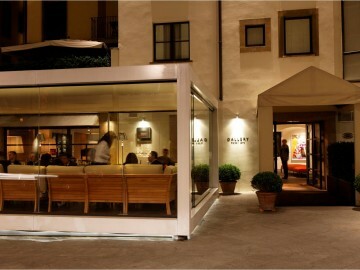 Enjoy 56 square meters of modern luxury. This bi-level penthouse features a lofted seating area flooded by natural light and overlooking the quaint rooftops of Florence. 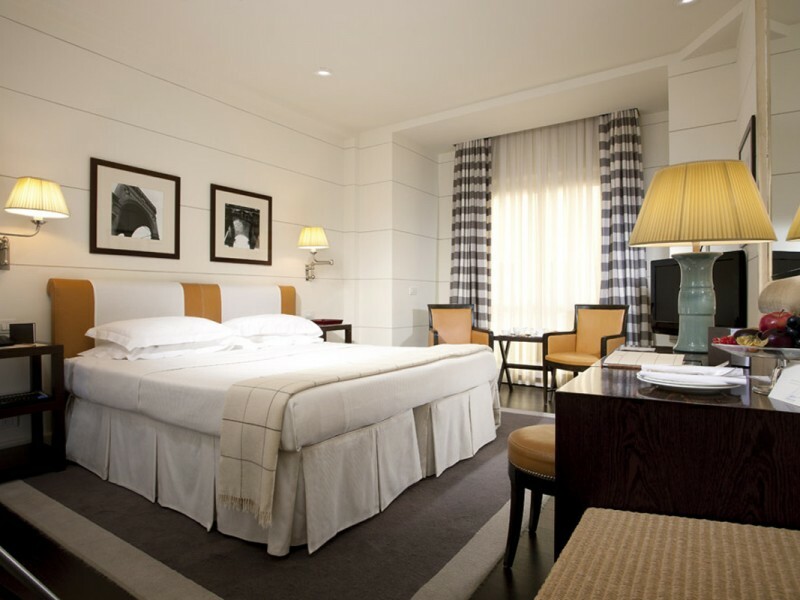 The main level features a king-sized bed and a stunning bathroom. Be sure to set aside a few minutes each day to relax on your private terrace. 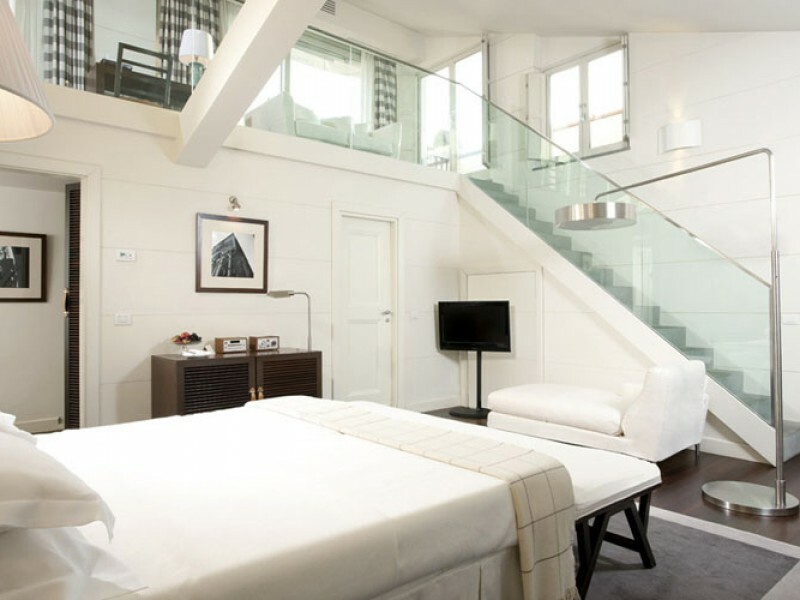 A bi-level penthouse on the top floors of the hotel, this room features a beautiful private terrace, from which you can glimpse views of San Miniato and the Oltrarno neighborhood. 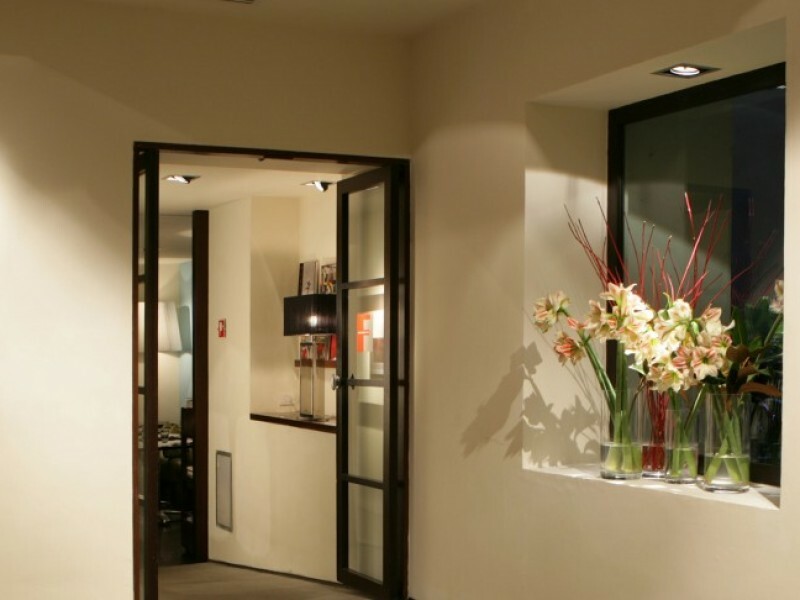 The 56 square meters are outfitted with the most modern furnishings and enjoy plenty of natural light. Wake up every morning to the icon that has captivated millions: the Duomo. 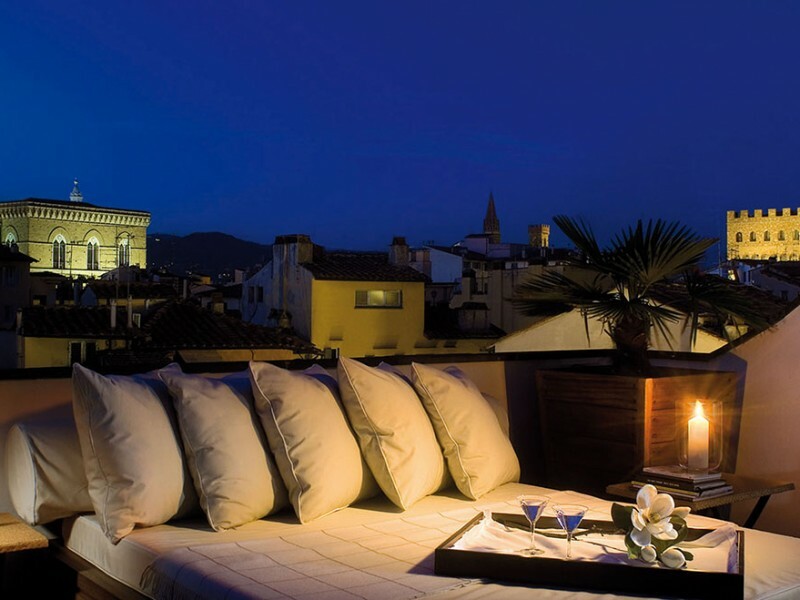 Relax on the sunbed of your private terraces (there are two of them) while taking in all of Florence. Inside your 56 square meter suite, enjoy two levels of luxury, including a refined bedroom, a separate living area with a sleep sofa, and two bathrooms. 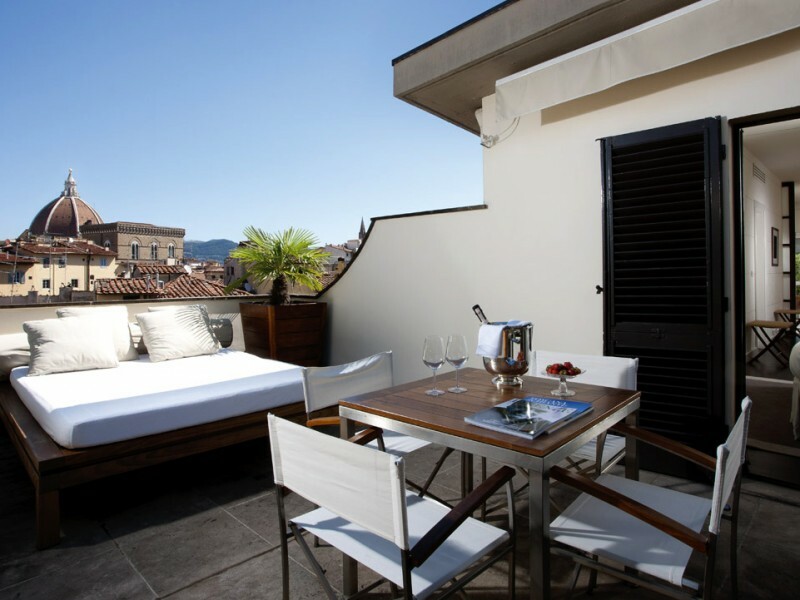 In addition to being able to see the gems of Florence from your guest room, a stay at this boutique hotel also means living in the middle of it all. 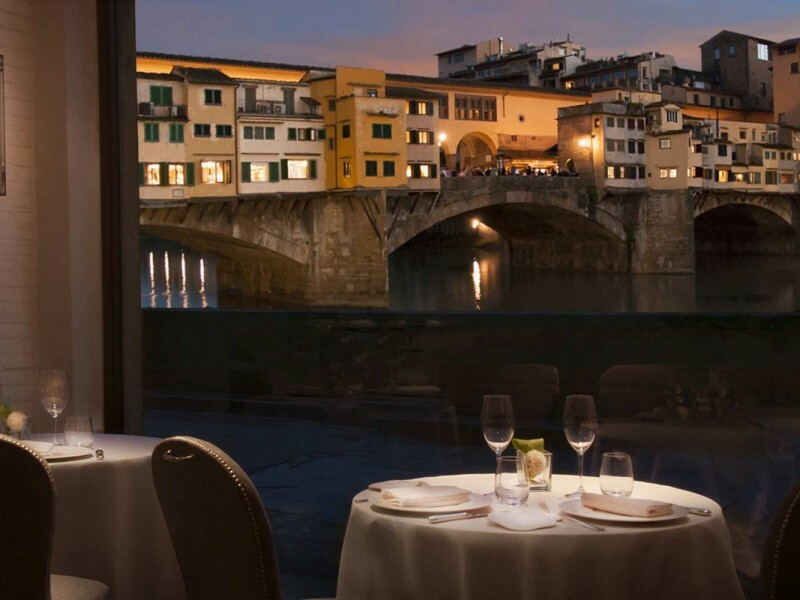 Positioned along the Arno River at the foot of the Ponte Vecchio, you’ll be within walking distance from all of the city’s fantastic shopping, exquisite attractions, and magnificent restaurants. Pets allowed for a no extra fee. One child under 3-years old can stay for free; cribs available free of charge for one child under 2 years.